The Rebel Sweetheart. : Sneak Peek | Laneige x Lucky Chouette Collection. The Laneige x Lucky Chouette collection, released in Korea last August 1, is the third Laneige Meets Fashion collaborative collection. 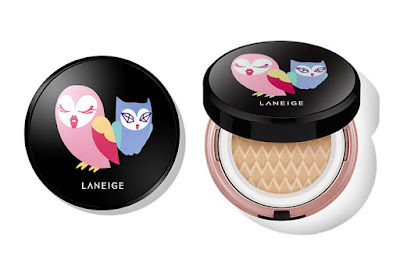 It's an annual affair for Laneige, wherein they team up with a Korean fashion line to produce a limited edition, specially-packaged makeup range. Laneige Meets Fashion, year 3. This year, they collaborated with fashion label Jardin de Chouette, which initially gained recognition for its jackets and high-quality designs. Famous for its owl symbol, Jardin de Chouette is patronized by Korean celebrities such as Kim Tae Hee, Lee Hyori, and Song Hye Kyo. And since 'chouette' is the French word for owl, the Lucky Chouette collection is all about - you guessed it right - owls! 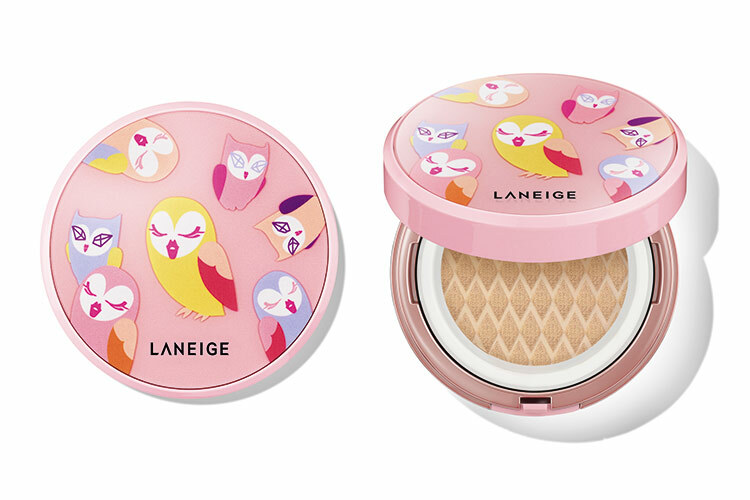 Laneige x Lucky Chouette BB Cushion, 37000 won. They even have names, too! Bella, the bold and confident owl with kissable lips, and the introverted Vely, with clear and shiny eyes that can melt hearts instantly. Laneige x Lucky Chouette Pore Control BB Cushion, 37000 won. These pretty little owls are printed on all three products included in this limited edition collection. There's the BB Cushion, Laneige's well-loved and best-selling product of all time. Laneige x Lucky Chouette Serum Drop Tint, 25000 won. And then there's the Serum Drop Tint, made with an all-new, oil-serum formula that provides lasting colour and plumping effect on the lips. 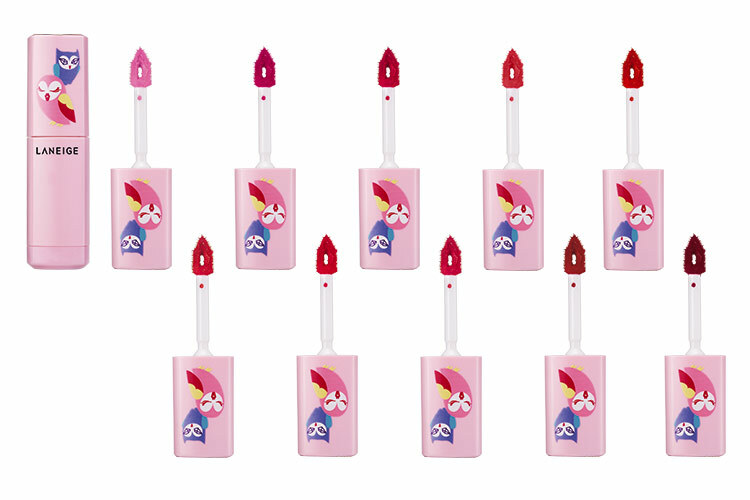 These tints are available in ten different colors, with shades ranging from neon fuchsia to deep wine. 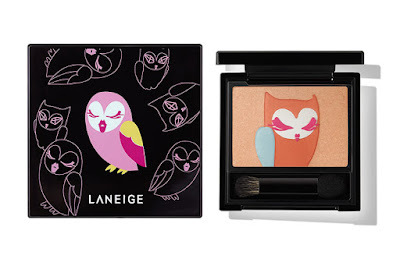 Laneige x Lucky Chouette Multi-Colour Face Palette, 30000 won. Finally, there's the Multi-Colour Face Palette, a highlighter/blush/eyeshadow all in one pact. The owl design on the center of the pact is so detailed and lovely, it would make you want to NOT use the product and leave it as it is. Haha! I haven't heard of this brand before. The packaging looks cute and unique. It's just sad that it is only available in Singapore. Good to know you're back in the game. Glad everything is okay with your family. This collection looks awesome! I really like the lippies! Oh, my sister will surely love to hear this news. 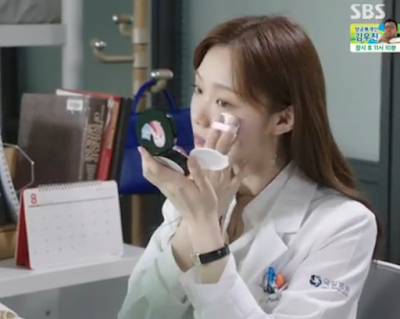 She is a Laneige user ever since. This brand is new to me yet it looks good. I am so glad you sister is better. And glad you spent some time with family! 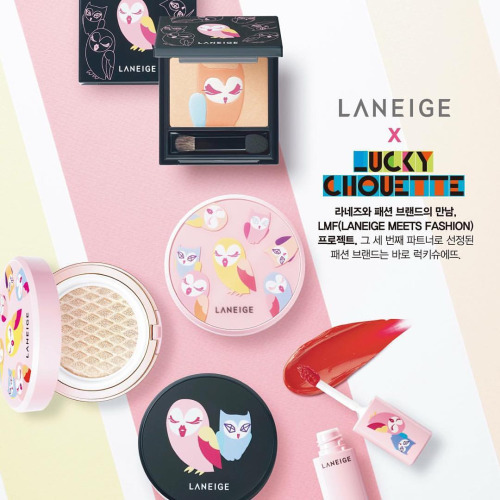 The Laneige x Lucky Chouette is a pretty new brand for me, but the products looks great and I love those cute packages which is the best with most Asian beauty products. I would love that Multi-Colour Face Palette right away!